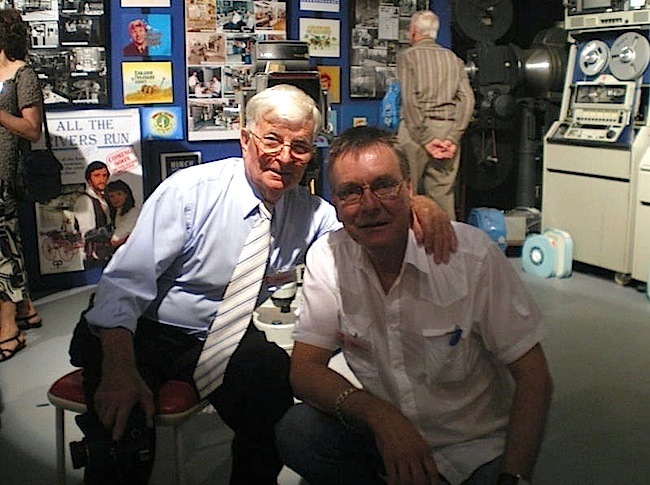 Michael Goodall was a cameraman in the newsroom at TVW from 1971 to 2003, continuing the Goodall family tradition, where father Leith Goodall (1903-1978) was a founding member of the Western Australian branch of the Australian Cinematographers Society (ACS). 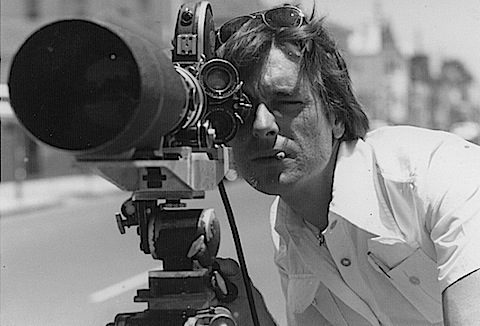 Leith was posthumously inducted into the ACS Hall of Fame in 1998, in recognition of his outstanding contribution to the art of cinematography, and for distinguished service to the ACS. Though Michael’s bother Peter was a pioneering news cameraman from day one at TVW, Mike started in television with the competition, WA’s second commercial television station, STW Channel 9, working in the film department and as the official stills photographer, before venturing into news camera work too. No doubt father Leith was a big influence on both sons, as he enjoyed a long career, both behind the camera and exhibiting films. After working 20 years for Hoyts Theatres, in which time he became chief projectionist and theatre manager, he then spent four years as a cameraman for Fox Movietone News. 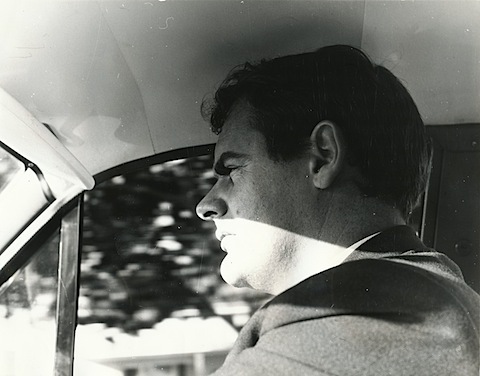 In the 1940’s he formed in partnership, which resulted in Southern Cross Films Ltd. For six years, he produced a great number of documentaries in 16mm and 35mm for Government departments and industry. In 1947, when the Mayfair Theatrette was opened in the basement of Sheffield House at 721 Hay Street, Perth, the cinema owner soon found that he could not get newsreels from Cinesound Review or Australian Movietone News, so Leith Goodall was enlisted to produce a weekly “Westralian News”, which screened every Friday and ran for 35 weeks until the national newsreels were made available. 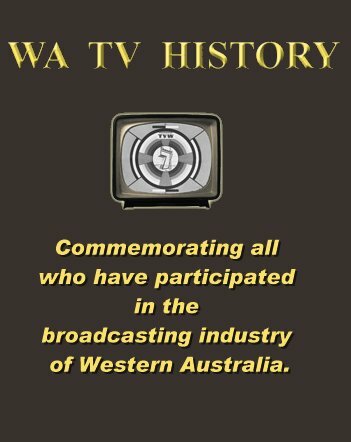 Then in 1952, Leith joined the WA Education Department’s film unit and continued to produce documentaries and promotion programs for the WA State Government, including the WA Tourist Bureau. It was with this unit, a little later, that he would work with Daryl Binning, the founder of the Australian Museum of Motion Picture and Television (AMMPT), and Alex McPhee snr. Alex McPhee jun, would later work with Peter Goodall at TVW Channel 7, with Peter being an inaugural member of AMMPT and a member of the Western Australian branch of the Australian Cinematographers Society (ACS), like his father. In due course, television news killed off the cinema newsreels, and made the newsreel theatrettes redundant, with Peter and Michael fortunate by then to have successful careers in the new medium. Leith Goodall was not only a pioneer of Perth cinema, but also brought the entertainment form to the suburbs when In he set up the Bayview Picture Theatre in Safety Bay and the Rockingham Cinema, with his great friend Jack Bidstrup. He also exhibited films weekly on Saturday nights at the Kelmscott Hall, where it was not uncommon to pack the venue out, such as the time he was screening ‘The African Queen’ starring Humphrey Bogart and Katharine Hepburn. While his father was still busy shooting film for government departments, Michael entered the workforce. He worked for Halse Photographics from 1964 till 1965, where he learnt still, movie and colour negative processing. The company was run by former school headmaster Jack Halse and his sons Ron and David. It was there that Michael gained skills in not only processing but also the art of mixing the complex and often dangerous photographic chemicals. Acids and alkali form part of the process, so mixing the wrong raw ingredients can cause a dramatic reaction. Michael learnt this craft very quickly, no doubt influenced by the strong family and industry connection. 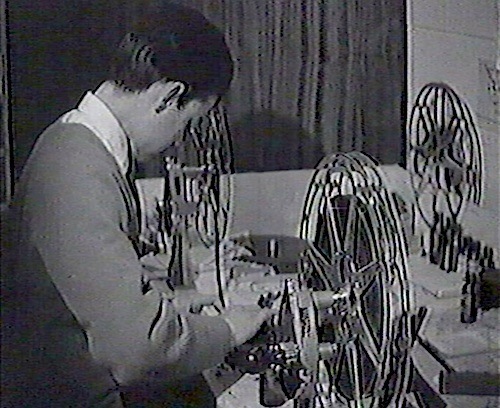 Halse was not only engaged in the developing of still photos but also archival microfilm of newspapers for the State Library and 16mm reversal movie film for the ABC. 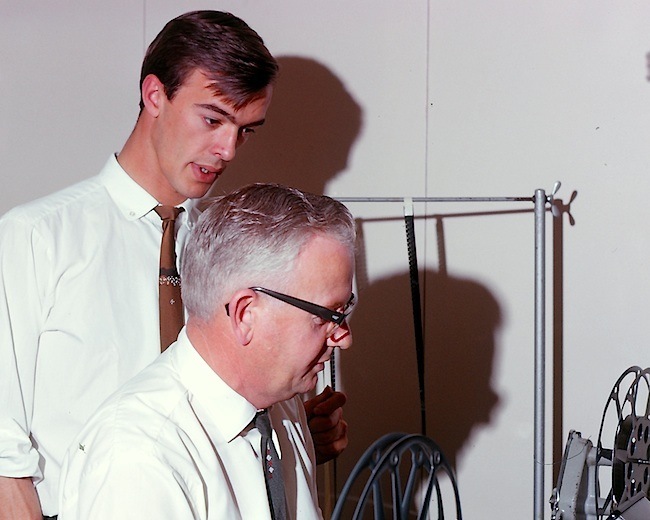 The skills gained in film processing proved valuable for Michael joining STW in 1965, for the launch of the station on Saturday 12 June 1965. He started as a film assembler, news film processor and editor, whilst also the station still photographer, working under Geoff Wallace, where he made the 35mm slides and shot the occasional news film until 1968. Michael then worked with the company of theatre advertising pioneer Cyril Cornish, from 1968 to 1971, whose slogan was: “Doing business without advertising is like winking at a girl in the dark. You know what you’re doing, but no-one else does”. Whilst there, Michael was engaged in the production of nearly two hundred 35mm colour movie cinema commercials. 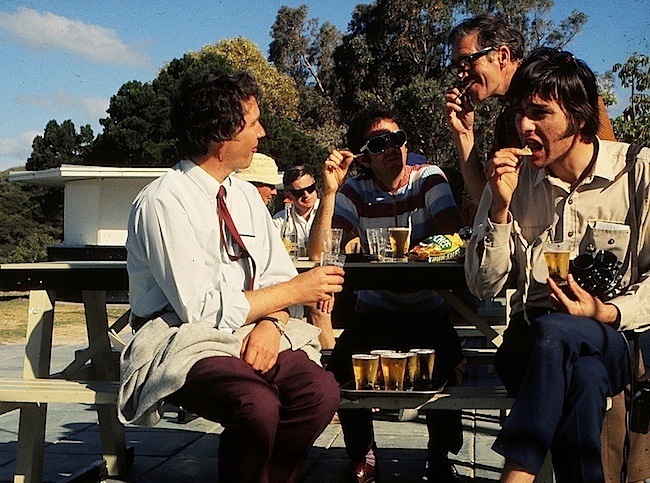 Following a conversation with TVW company secretary Frank Moss, Michael joined Seven in 1971 to process news film and assist his father’s old friend Ken Alexander and Norm O’Loughlin editing film stories. Michael was also a stills photographer with Steve Thomson and Dave Gordon, before becoming a full time news cameraman. 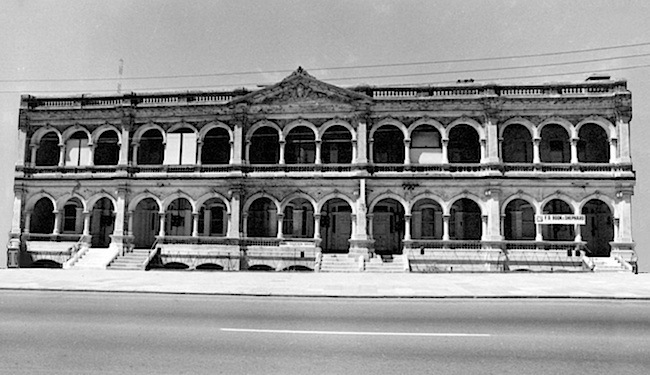 In 1964 I started working for Halse Photographics in Hay street East Perth. Halse’s was housed in a grand old three story, nineteenth century building called Tynemouth Terrace. 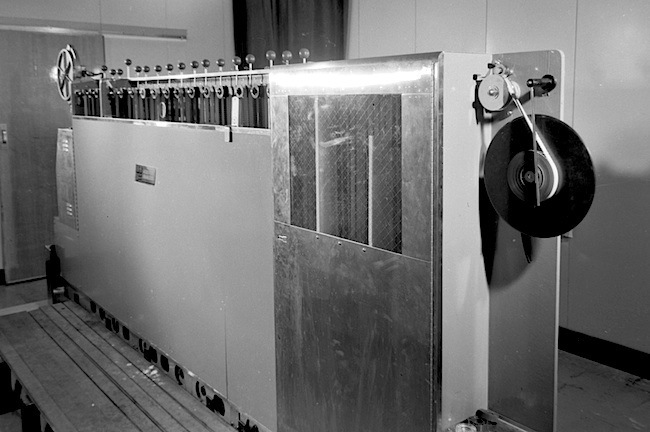 The processing machine was a fifteen foot long, temperamental, monster called a Huston Fearless Cine Processor. The film was wound into magazines in the dark and pulled through chemicals over rollers that were suspended over deep tanks full of liquid chemicals. 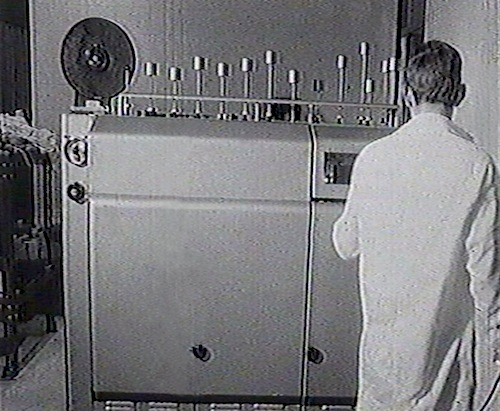 The film was then pulled through a drying cabinet to the expectant operator. After the film was processed I had to deliver the rolls to the ABC in Adelaide Terrace. In 1965, I worked in Channel Nine’s film assembly department. This department physically joins the TV commercials into the movie. The commercials are little rolls of 16 millimetre film in boxes. They are sent to the station by the advertisers and are stored in the vault at the television station until they are needed to be placed into programmes. The measuring slip is given to the traffic department and commercials are allocated a space in the rolls of the programme film. During 1966, my daily duties at STW included working in the film department as a film assembler, still photographer, part time cameraman, film editing, and I also run the news film processor. In 1968 I worked for Cyril Cornish Cinema Advertising. During my time there the film department produced over 200 commercials. Theses were shot on 35 mm motion picture film. The work print was edited and sent east then the release print was sent back to Perth for distribution to the cinemas and Drive ins . In 1971, I started working for Channel Seven. I ran the cine processor and assisted with editing and shot news film. I was at Channel Seven for 31 years and spent most of my time as a cameraman in the news department. Being a news cameraman, takes one to places the ordinary citizen normally learns of by watching a news bulletin. Stories happening at dizzying heights, that require the climbing of towers or mountains, or filming precariously from a helicopter, often witnessing dramatic events as they unfold, which at times may be overly graphic, or at worst, grotesque. In February 1980, Cyclone Dean crossed the Northwest coast of Western Australia at Port Hedland. A news crew from Channel Seven News in Perth was there to record the Cyclone as it hit the town. Channel Seven was the first station to start shooting news on portable video tape machines. This made it possible to send the vision back live 16000 kms to Perth in the South. It was sent via the now obsolete Coaxial cable that was used mainly for telephone and data. The vision was recorded in Perth live from Port Hedland and segments were put live to air as it arrived at the studios in Tuart Hill. The audio is telephone quality and the vision isn’t much better but it was quite an achievement back then, getting pictures live to air soon after it was taped. The news that night was recorded on a domestic Betamax tape that was found just recently in a tool shed. Remarkably, it was still playable after 32 years. Michael Goodall was the Seven News cameraman for the live report from Port Hedland during Cyclone Dean in 1980. The original vision is courtesy of Channel Seven News in Perth. The other stations missed the immediacy of this event by not being as innovative. Maybe the logic was that taking a film camera would be more robust that an electronic camera in extreme weather conditions? It certainly affected the outcome, as the exposed film had to be freighted back to Perth, processed and edited before broadcast. This then would be old news compared to what Michael was achieving at the time. 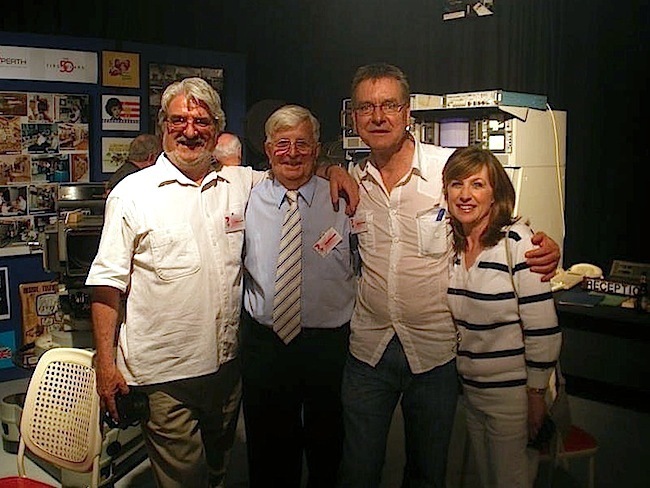 The TVW 50th anniversary reunion in October 2009 was an opportunity for veterans to catch up from all over the country and overseas. Bill Meacham was the Head Cameraman at TVW from 1967 to 1980, Peter Goodall was a cameraman when TVW first opened, working from 1959 to 1966. He then returned to be predominantly a studio director between 1979 and 1983, whilst Michael Goodall covered the transition from film to electronic news gathering between 1971 and 2003. Annette Grennell (Purvis) worked both in front of the camera and in TVW Publicity. 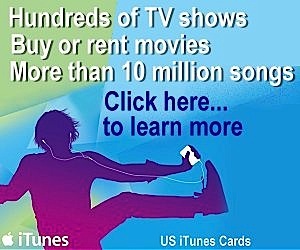 Performing on Stars of the Future, Telethons, Miss West Coasts and singing the Fat Cat’s Fun Show theme song. She also worked in publicity from 1975 to 1979. This article briefly touches on the Goodall saga, which we will follow up with “A Tribute to Andrew Leith Goodall”. For there was a time when all three were working for different television stations in Perth at the same time. Peter was with TVW Channel 7, Michael was with STW Channel 9 and father Leith was stringing for ABW Channel 2. Another great story Ken, thanks for the memories and keeping up this wonderful work of documenting these stories not only for our enjoyment, but also for the benefit of future generations. I am fortunate to have Peter Goodall as a friend and colleague, having worked alongside him on many of my industrial production projects. I recall Peter and I hanging out of a helicopter every day for at least a week recording footage of various Pilbara iron ore projects for the CSIRO in Perth. I have also been fortunate to have had access to the State Film Archives and have transferred and digitized a huge amount of Leith Goodall’s early film footage into electronic media files and onto DVD. Some still being in my library here that I am sure could be made available to you at some stage. My very best wishes Ken and keep up this wonderful work that you are doing. Immediate Past Vice President of AMMPT.